We provide land buyer services, helping you acquire land in Marin, Sonoma, Napa or Solano Counties, also the East Bay and Peninsula. We can help find property that fits your needs and budget, from single family lots to urban in-fill sites, residential subdivision land, commercial parcels, agricultural acreage, or land suitable for developing a fine country estate. Buying land has unique challenges and processes, we work with you to draft your screening parameters and thoroughly research each potential acquisition. We’ll use more than the Multiple Listing Service (MLS) to find available properties. We’ll scan all potential market sources, including the MLS, other online listing sites, print advertising, auction announcements, “For Sale By Owner” (FSBO) advertisements, and off-market “pocket listings.” If we can’t find listed properties that suit your needs, we’ll help identify properties that are not currently for sale and approach the owner regarding their willingness to consider an unsolicited offer (for more about this process, read: Making An Unsolicited Offer For An Unlisted Property). We’ll carefully screen available properties and show you only those that meet all your “must have” criteria. Your time is valuable and we’re not going to waste it. If there are few properties on the market that fit the screening parameters you’ve identified, we’ll let you know. But we’ll never blind-side you with a property that is out of your price range, isn’t in your desired location, or doesn’t have the features you need. Under any market conditions, great properties are usually in demand and the winning bid must stand out from the crowd. We help craft creative offers that meet seller needs and give our buyers the upper hand in negotiations. 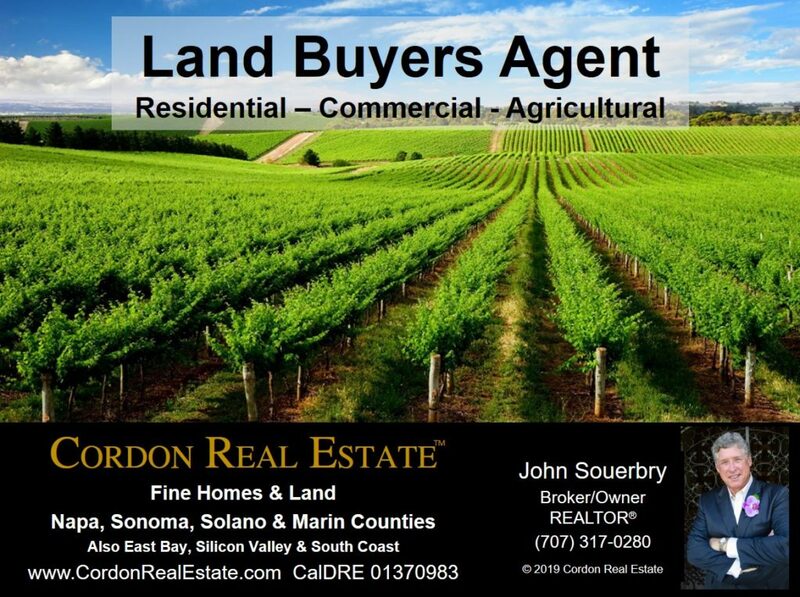 Land buyers, please use Contact Us or call John directly at (707) 317-0280 for land buyer services anywhere in the San Francisco Bay Area.